Where is it possible to have your wedding ceremony on the island of Capri? Options are pretty endless, but we have selected for you the most unique and special venues. 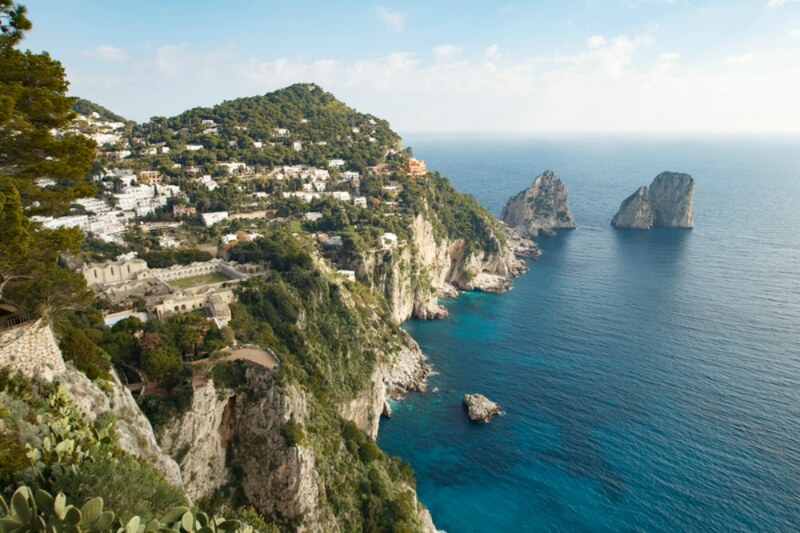 Your wedding day represents taking your love to new heights, so how about getting married on the highest peak on the island of Capri? After an exciting ride in the chairlift, Monte Solaro welcomes you with its breathtaking panorama of homes among untouched nature, framed by the blue sky above and the emerald sea below. Imagine white cliffs, lush nature, singing seagulls, and a red setting sun plunging into the sea. 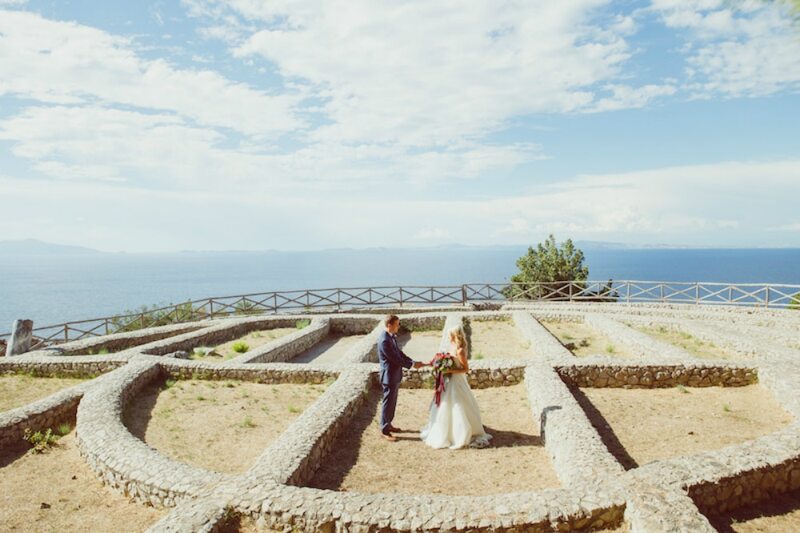 This charming venue, dominated by the lighthouse of Punta Carena, is perfect for those who want to get married in Anacapri with a civil, symbolic, protestant or jewish ceremony. Following along a path between the green of the Mediterranean foliage, you will suddenly find yourself surrounded by the immensity of the sea and the Faraglioni rocks, which will serve as witnesses to your bond of love. 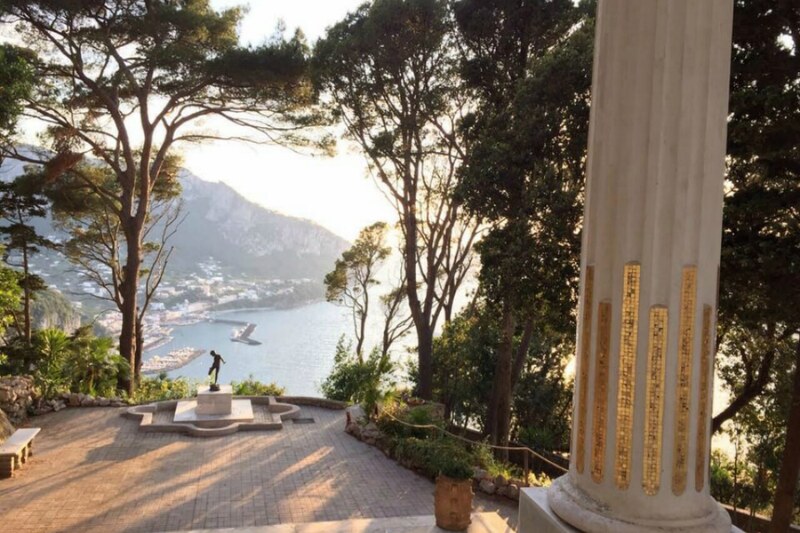 This location is surrounded by spectacular panoramic views, making it an ideal place for your intimate civil, symbolic or protestant Capri wedding ceremony. 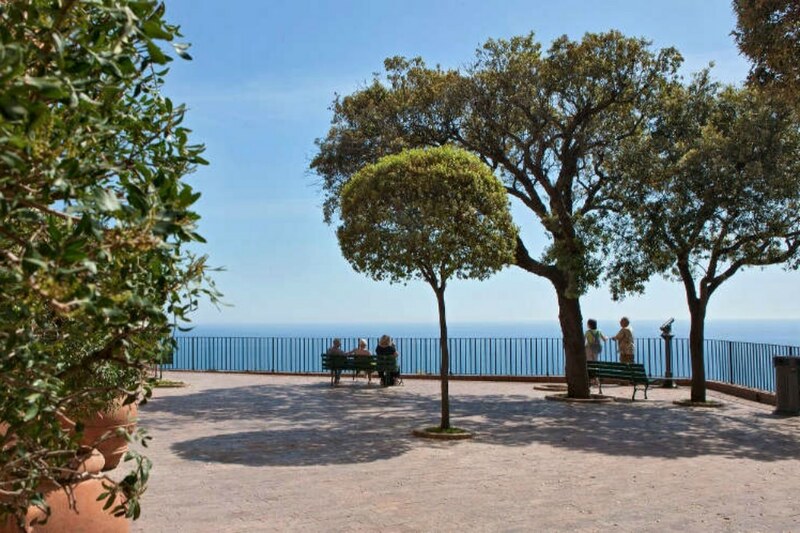 A few steps away from the famous Piazzetta, you will find a wonderful stage set atop a cliff looking down to the sea below. With the Faraglioni rocks on the left and the lovely Marina Piccola Bay on the right, this beautiful spot will leave you speechless! Here you can host a wedding with a civil, symbolic, jewish or protestant ceremony. 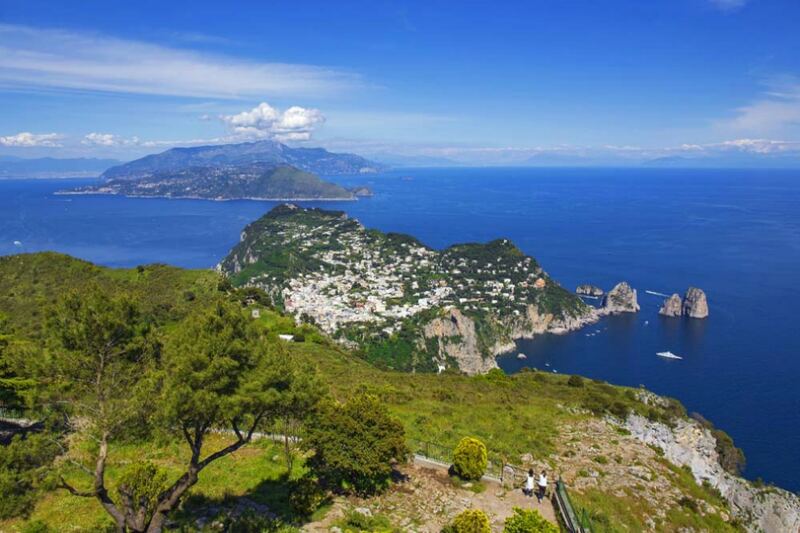 The fresh pine forest and the sensational sea view provide a backdrop for one of the most beautiful archeological sites of Capri. This romantic location is ideal for a dreamy enchanted forest wedding in Capri with a civil, symbolic, hindu, jewish or protestant ceremony. The most famous and romantic stroll on the island of Capri opens up to an authentic terrace overlooking the sea, with the Faraglioni as a sentinel of an indescribable paradise. 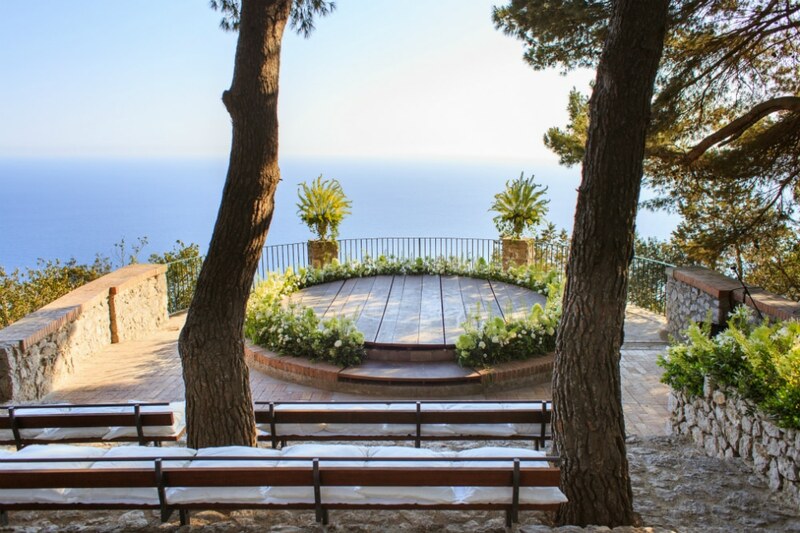 Take the opportunity to realize your Capri wedding on this special terrace above the sea with a civil, symbolic, jewish or protestant ceremony. You will be mesmerized by this splendid monument to love and by its unparalleled sense of history and natural beauty. Built in a unique landscape, this ancient dwelling built by Count Fersen in 1904, and recently restored to its original charm, is undoubtly a special choice for couples who want to get married in Capri with a civil, symbolic, protestant, jewish or hindu ceremony. This location is perhaps the most precious jewel of the blue island. 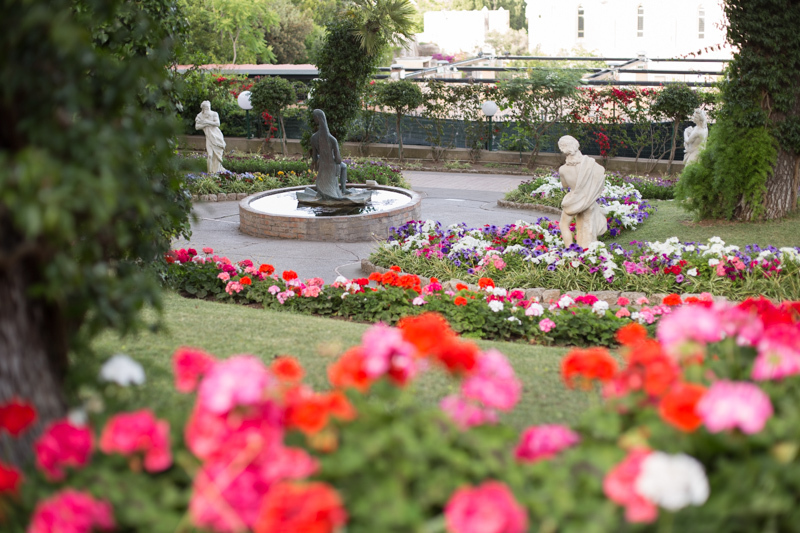 A collection of natural beauty and unique landscaped attractions intertwine to a special and memorable location. The Cetrella valley can be reached on foot or by taking the chairlift up to Monte Solaro and then walking down a short path. It is possible to get married here with a civil or symbolic rite. After a pleasant and relaxing walk through orchards and gardens in Anacapri, you will immediately be enthralled by the intimacy of this beautiful terrace overlooking the sea. The small stage and wooden benches are reminiscent of a small amphitheatre, and on this stage you can pronounce your “yes, I do” wrapped by the embrace of the people you care about the most. This spot is just right for a civil, symbolic, jewish or protestant ceremony, or for the renewal of vows. 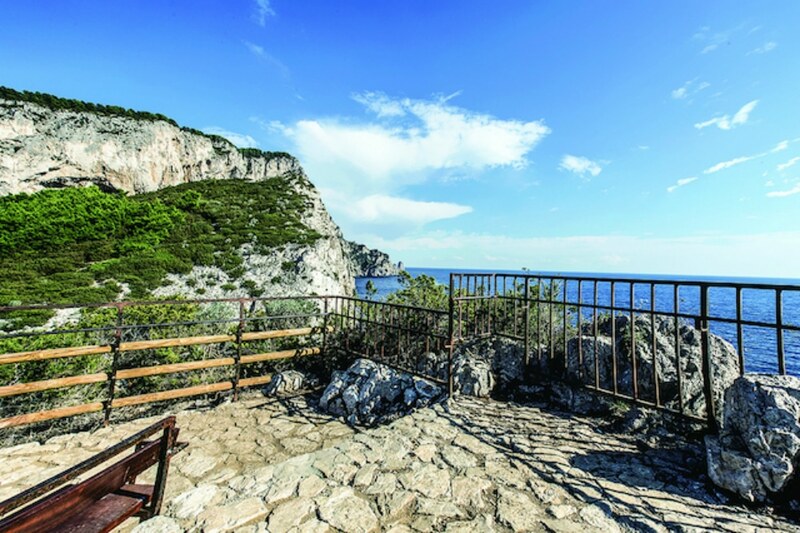 A few meters away, there is a second smaller vista with an enchanting view of the Faraglioni rocks and of the Punta Carena Lighthouse. This spot is ideal for elopement or for celebrate a symbolic or civil ceremony with up to 15 guests. 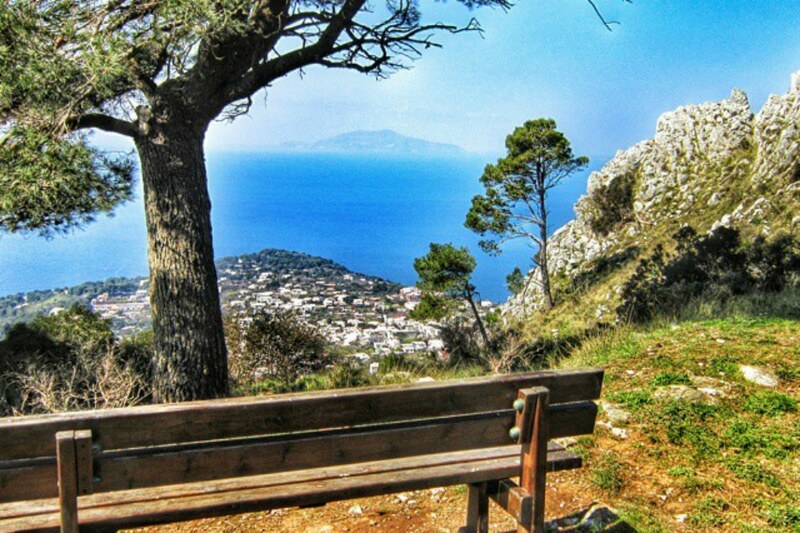 One of the most beautiful properties on the island of Capri also offers stunning and romantic views. The remarkable grounds were dreamed up and built by the naturalist physician Axel Munthe on the ruins of an ancient Roman villa. The result is a sanctuary of nature with terraces and buildings blending in among the trees and flowers. 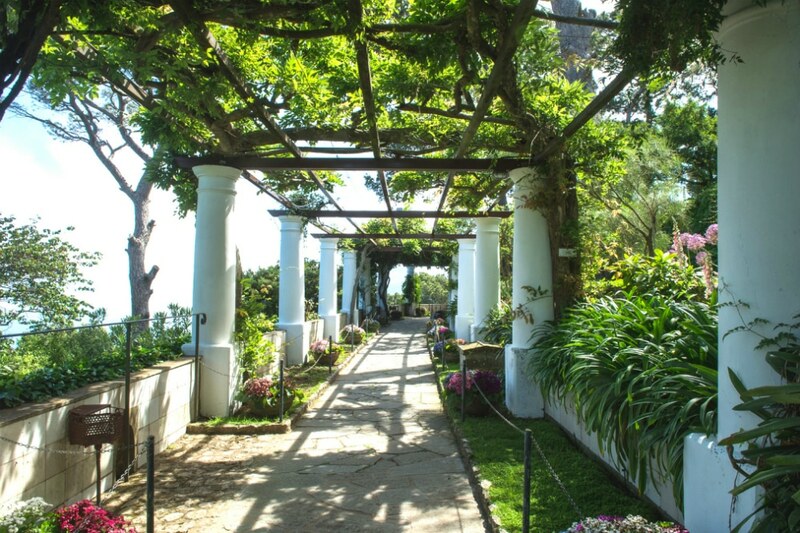 It is here that history, art, and nature intertwine in a way that cannot be found in any other corner of Capri. Symbolic weddings can be celebrated on this special property.